Sometimes, you can see the train coming but can’t get out of the way fast enough. Whack! The train gets you despite your best efforts. Wouldn’t have been great to start to get out of the way earlier? In this entry, let’s focus on how to identify, as early as possible, four types of bad metrics in healthcare so that we can run away from that particular train as early as possible. After all, the sooner we flee from these bad actors the more likely we are to avoid being run over by them. Truth is, you’ve probably seen the train of bad metrics before. After all, you know that all sorts of things are getting measured in our field nowadays and, sometimes, certain endpoints don’t feel particularly helpful and (in fact) seem to make things a lot worse. 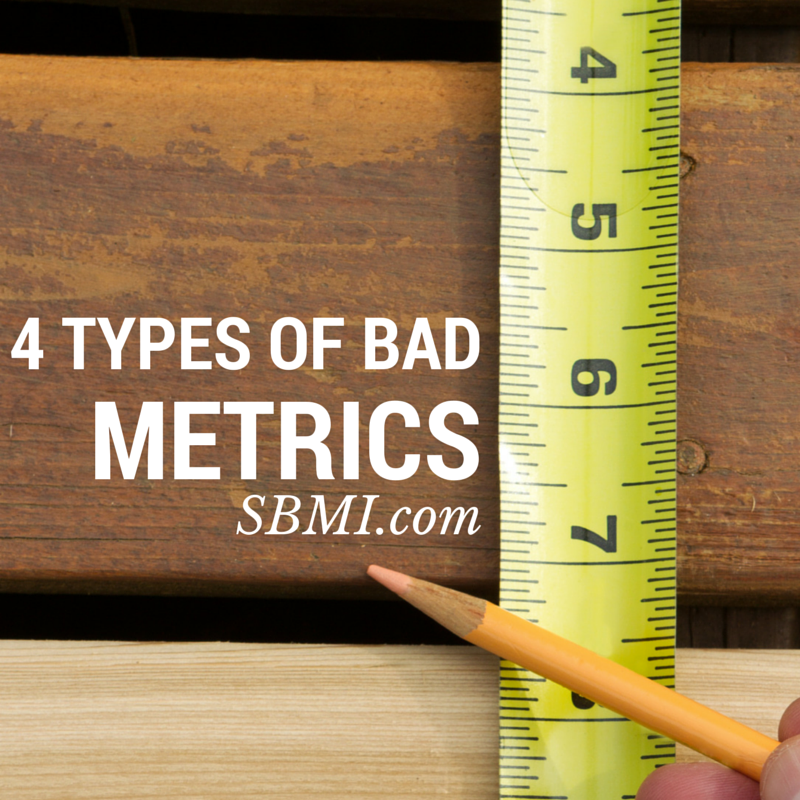 Let’s explore four broad categories of bad metrics and how to avoid them. #1 Metrics for which you cannot collect accurate or complete data. It can be very challenging, in hospitals, to collect data. Often, data collection is frowned upon, or is even thought of as an afterthought or imposition. So, as we launch in here, remember: saying that you can’t collect complete or accurate data is not the same as actually being unable to. Colleagues, listen: if you think you can’t afford the time to collect good data, let me tell you that you can’t afford not to collect and use data. When I’m working with a team that’s new to Lean or Six Sigma and we discuss data collection, the team often balks and focuses on the fact that no one is available to measure data, that we don’t have data collection resources or that, even if we had resources, we can’t get data. However, in healthcare, we have all seen projects where data collection is arduous and so we react against data collection when we hear about it. Sometimes, teams focus on using retrospective data. Of course, using retrospective data is much better than using no data. However, retrospective data has often been cleaned via editing or in some other way that makes it less valuable. Raw data that focuses on the specific operational definition of what you’re looking at tends to have the most value. Sometimes, you have no way to measure a certain metric or concept and yet the team believes that concept to be very valuable. 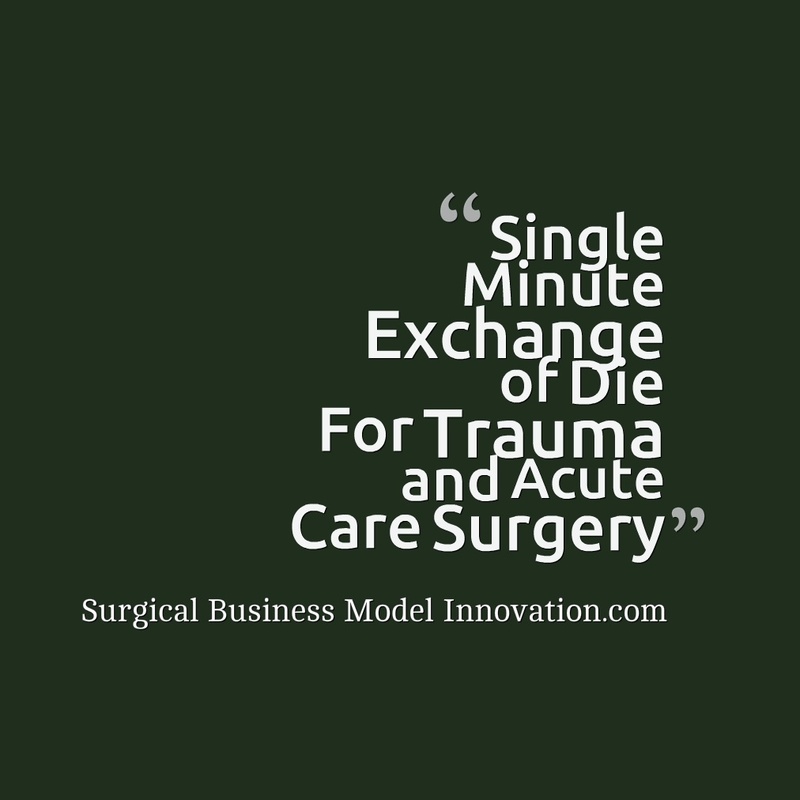 Take, for instance, a team that focused on scheduling patients for the operating room. The team felt that many patients were not prepared adequately before coming to the holding room. This included all sorts of ideas such as not having consent on the chart or some other issue. The team decided to measure this prospectively and found that only about one third of patients were completely prepared by the time they came to the pre-operative holding area. This was measured prospectively with a discrete data check sheet. Let me explain that, sometimes, the fact that something hasn’t been measured previously means that the organization has not had that concept on its radar previously. This goes back to the old statement that if it is measured it will be managed and its corollary that if an endpoint is not measured, it is very hard to manage that endpoint. To wrap this one up: it is important to mention that one category of bad data or a bad metric is a metric that you cannot measure. However, it is important to realise that just because you haven’t measured it before doesn’t mean that you absolutely cannot measure it. Sometimes, if the idea or concept is important enough, you should develop a measure for it. We discuss how to develop a new end point in the entry here. That said, if it is absolutely impossible or arduous to collect accurate or complete data, the metric is much less likely to have value…but don’t just let yourself off the hook! If you think something is important to measure, learn that there are ways to collect data that require only four or five seconds per patient! #2 Metrics that are complex and difficult to explain to others. If a metric gives a result that people can’t feel or conceptualize it’s just plain less valuable. Take, for example, a metric for OR readiness. In the month of April the operating room scored a very clear score on this metric. That score was “pumpkin”. “Pumpkin? !”…Well, pumpkin doesn’t mean much to us in terms of operating room readiness. For that reason, you may want to measure your OR preparedness with a different metric than the pumpkin. Complex and difficult metrics that lack tangible meaning should be avoided. Chose something that tells a story or evokes an emotion. One upon a time, a center created (and validated) a “Hair On Fire Index” to indicate the level of emergent problems and crazy situations the operating room staff encountered in a day to indicate how stressed the OR staff was that day. Wonder how they did it? Look here. #3 Metrics that complicate operations and create excessive overhead. This type of metric is especially problematic. If a metric is difficult to measure and requires an incredible level of structure / workload to create it, it may not be useful. Imagine, for example, a metric to predict sepsis that requires a twelve part scoring system, multiple regression, and the computing power of IBM’s Watson. This may not be a useful day to day metric for quality or outcome. Metrics that complicate operations and create excessive difficulty should be avoided. When you see that type of metric coming, jump out of the way of the train. #4 Metrics that cause employees to ‘make their numbers’. This is similar to problem metric number two. When staff can’t feel the metrics that we describe, or see how they affect patient care, it can be very hard to mentally link what we do every day to our quality levels. That can lead to situations where employees are acting just to ‘make their numbers’. That type of focus is difficult and makes metrics less useful. It’s important to have metrics that we perceive as having a tangible relationship to patients and their outcomes. We are so busy in healthcare that often if staff can fudge a metric, complete a form just to say it’s done, or in some other way ‘make numbers’, well, we often see that’s what happens. (That effect may not just be confined to healthcare of course!) It can be very challenging to create a metric that very clearly indicates what we have to do (and should be doing) rather than one that is sort of an abstract number we ‘have to hit’. In conclusion, there are at least four types of bad metrics and very clear ways to avoid them. Take a moment to try to see these trains coming from as far away in the distance as possible so that you can quickly get off the tracks unscathed. We need metrics that we can feel and that tell a story of our patient care. We need ones that, whether government mandated or not, seem to relate to what we do everyday. We need ones that are easily gathered and tell the story of our performance clearly to both us as practitioners and staff who review us. Sometimes, we are mandated to collect certain end points yet, over time, I have come to find that when we do a good job with metrics that have meaning, we often have less defects and see better outcomes in all the metrics…whether we are mandated to collect a particular metric or not. 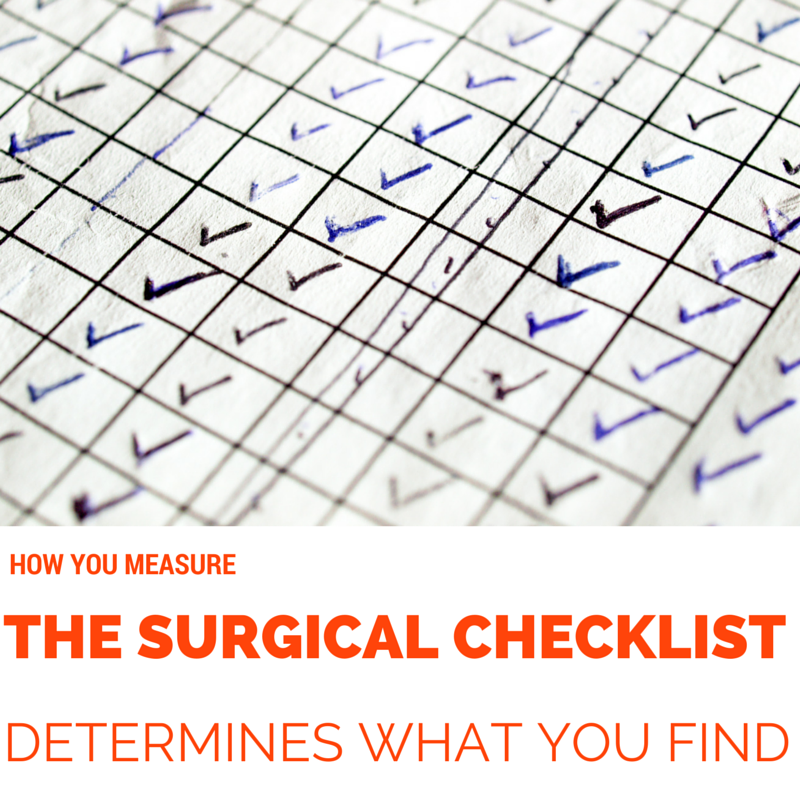 As part of your next quality project and how you participate in the healthcare system, take a minute to focus on whether the metrics you’re using are useful and, if not, how you can make them better. Be the first to sound the alarm if you see the train of bad metrics on the track to derail meaningful improvement for our patients. Disclaimer: I’m not affiliated with Minitab in any way…except for the fact that I find their product very useful on a daily basis! Our friends at the Minitab blog just posted part one of a two part series involving how to create (and validate) a new measurement tool. Look here for the post on this useful technique from the Minitab blog, and for more coverage on this important skill look here. Posted on September 17, 2014 Author David	No Comments on The Mailbox Rule In Modern Life: What Happens When The Text Isn’t Delivered? The Mailbox Rule In Modern Life: What Happens When The Text Isn’t Delivered? The mailbox rule is a classic in first year law student coursework. That weathered rule, taken from the 17th century English case Adams v. Lindsell, states that an acceptance of a valid offer is effective when the offeree deposits the acceptance in the mailbox. There are lots of reasons why this rule evolved; the court chose to create the rule in that case based on an argument that, if acceptance were only effective on delivery or receipt, the back and forth between parties could go on ad infinitum. Clearly, that is a very specious argument for many reasons. For example, couldn’t one party simply accept and end the back and forth? Regardless of the many flags we could throw, that case remains as the progenitor of our current mailbox rule. Here, let’s consider the applicability of the mailbox rule away from the 17th century and in more modern context. What happens, for example, if we send a text accepting the offer and the text is never delivered? First, it is useful to site current thought on the mailbox rule. The Restatement, Second, of Contracts describes the mailbox rule in section 63. The expectation, as explained, is that the manner in which the acceptance is transmitted be a ‘reasonable’ method. That means, in the modern day, acceptance by hot air balloon is probably suboptimal. Similarly, carrier pigeon is right out. So, in our fast paced world, how do we apply the mailbox rule if at all? What if we are negotiating, for example, by text message? Text message presents several problems. First, when it is discussed in a typical 1L class, text messaging conjures an illusion that it is fairly instantaneous. However, we all know better. For example, texts are not always delivered in a timely fashion–if at all. We have all seen attempted text messages that are not received owing to issues like the prospective recipient being in a crowded place. You may have attended a football game where texts look like they are sent but are not, in fact, received. This is often because the network is locally overloaded. At the end of the day we are left wondering how the mailbox rule applies in the text messaging situation. 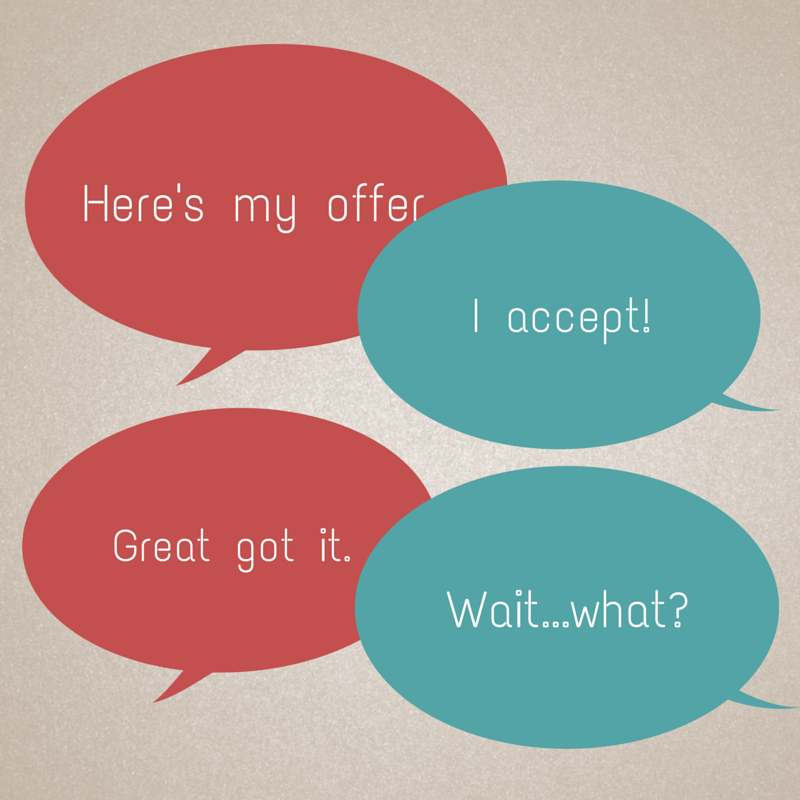 Is an acceptance of an offer valid if the text message is never received? Can we even be sure that, at times, it was sent? This can be challenging for reasons such as the fact that to the user it can appear that a text message was sent when in fact the message hasn’t left the phone. We have all been there, haven’t we? At the end of the day the mailbox rule’s application in modern day is very challenging for multiple reasons. Where modes of message transport such as snail mail, email, and other modes may leave a more distinct fingerprint, we are often left wondering what exactly it means when a user thinks a text has been sent and it hasn’t. At times it is not as definite as depositing a letter in a box. Modern thoughts on mode of acceptance are many. At the end of day, in the modern world, we are still wrestling with what constitutes acceptance given the fast pace of modern electronic communication. Clearly, we have not even touched upon more unusual ideas such as text messages that are scheduled to be sent in the future, and similar interesting situations that arise because of the current state of communication. In conclusion, the mailbox rule’s application in the modern world is very challenging. Some contend that the mailbox rule is in line with the objective theory of contracts in that it allows courts to see an action on the part of the offeree as they execute their power of acceptance. Clearly, there is an equally strong argument for the mailbox rule as part and parcel of subjective contract theory in that it focuses highly on intent and which party knows what at which time. Still others see the mailbox rule as a bridge or stopgap measure that tries to clarify the obvious challenges inherent in the object theory of contracts (focusing on tangible action) and the inherently subjective nature of who knew what and when they knew (more subjective theory of contracts). The rule will no doubt continue to be explored by the courts in the modern era. When the next communication revolution occurs, we will be wondering what it means to accept a contract via Apple watch and other similar devices. When colleagues and I become involved in a startup, there are certain things for which we look. One of these elements for which we search is a unique vantage point that generates a sustainable revenue stream. That is, there has to be an idea which is somehow unique. Next, that uniqueness must translate into profit. It is preferable to have an idea that is challenging to imitate for one reason or another. …but, just as important as those factors is the startup team dynamics and skill set. Did you know it has been estimated that over 60% of startup failure are actually owing to team factors? Some teams can take poor ideas and via strength of execution create a very solid business. Other teams can be given the best idea in the world and yet it falters. Execution is equally important, then, with the initial idea in our opinion. For that reason, the team factors are key for a startup. In this series of entries we have been discussing a startup called Provider Lifestyle Experts. In case you haven’t heard, Provider Lifestyle Experts focuses on the provision of administrative resources to improve lifestyle for people in healthcare. Healthcare has a large administrative burden which often is challenging for healthcare providers. It can even lead to burnout. Imagine working all those hours AND being buried under paperwork or unable to get simple life maintenance things done owing to workload issues. Some even attempt to keep up with the burden of paperwork and other issues themselves. This is a real pain point for people who practice in healthcare, and Provider Lifestyle Experts focuses on relieving that pain. As mentioned in an earlier blog entry, I had an idea to have a business of virtual person assistants who functioned particularly in the healthcare space. Healthcare paperwork and issues require special knowledge which is difficult to imitate. 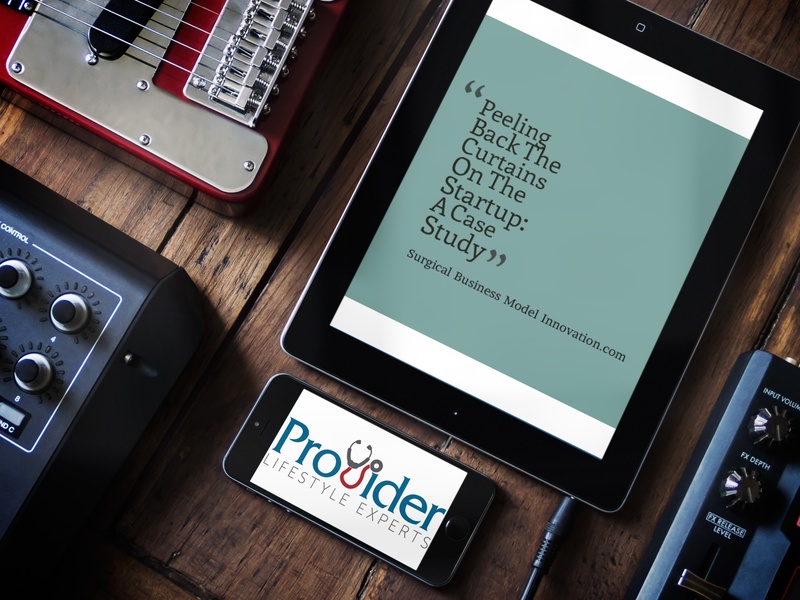 Healthcare-related tasks typically befuddle current virtual assistant groups. For that reason I worked on the creation of a business model around this idea. However, owing to time constraints and other challenges I had the realization that I would not be the one to execute this idea, and I passed the idea off. I can’t stress enough the importance of knowing ourselves well enough to decide whether we can (and should) execute on a particular idea. So, as mentioned, I passed off the idea. When a team of complimentary individuals comes together it can be a truly powerful sight. In the case of Provider Lifestyle Experts, the team is composed of a talented, entrepreneurial virtual personal assistant who has been in the business providing these services for years. Additionally there are two healthcare providers who maintain very different careers in healthcare. These two staffers have business experience and are able to give guidance to the virtual personal assistant team member regarding specific healthcare issues. Interestingly, the virtual personal assistant on the team has functioned previously as a virtual personal assistant for a physician and has gained a great deal of experience with this. The team has asked me to continue to intermittently advise them as they go along their startup journey. I can’t say often enough how important it is that the team have complimentary skills rather than all sharing the same strength. There are many components to a startup beyond simply design. We will explore some of these in the next blog entries. For now, it suffices to say that sales, customer development, financial acumen, and conscientious follow up are all key at the beginning of a startup. For these reasons, the team members vetted of each other over a period of weeks to months to learn whether they can and would be able to function effectively in the new endeavor. It was important for everyone to go into the new venture with their eyes open and having a sense of whether they can and would perform. In the case of PLE, the team took 3 months (as it decided to use Lean Startup methodology) to learn how it worked together and whether things would seem to work well. So, to this day, Provider Lifestyle Experts is growing its client base, and already has passed its break-even point with customers. The excellent team dynamics have translated into a flexible adaptable team that executes well and has really capitalised on different opportunities. In our next blog entry we will follow these team dynamics and start to focus on exactly what the team did in terms of steps they used to create their unique business model and begin acquiring customers. We discuss numerous techniques on the blog for startup companies. In this series of entries, we will discuss a case study of a startup as it unfolds in order to highlight some of the different tools and techniques we’ve used. Allow me to introduce Provider Lifestyle Experts (PLE). Provider Lifestyle Experts (www.providerlifestyleexperts.com) is an idea that relieves a pain point that many physicians, especially surgeons, have: multiple administrative tasks exist which we have little time to complete. Things like licensure, credentialing, scheduling, planning, and other associated tasks often take more time than we have in our busy practice and lives. They help bury us under paperwork hurdles that are hard to surmount. Personal assistants are some options we can use so that we can better focus on taking care of patients and ourselves. I have previously tried a virtual personal assistant team based on the advice of colleagues and a book called The 4 Hour Work Week. These two sources led me to have an interest in virtual personal assistants and non-virtual personal assistants. At some point I realized I was spending a significant amount each month on a personal assistant. For that reason, I thought it maybe worth while to start a virtual personal assistant team which is focused on the special needs of physicians and surgeons. Perhaps not surprisingly, the paperwork tasks and special needs for healthcare providers were VERY difficult for existing virtual assistants (often offshore) to understand. That fact lead to errors, re-work, and many hours spent performing tasks that should not have taken so long. In short, the tasks I required often needed special expertise beyond that normally seen in virtual personal assistants. Existing virtual personal assistant services often fell short for what I needed as a healthcare provider. There was a special value proposition required to be an excellent personal assistant for the jobs I needed done….and it’s not just paperwork. The virtual assistant who specialized in healthcare could do literature searches, maintain all my documents in the cloud, and let me know about CME issues and times when I need to focus on recertifications. These and other specialized tasks made me value the idea very highly. I “got out of the office” and asked colleagues the jobs they needed done to decide if this admin paperwork was just a problem I had or if it was a problem that many healthcare providers had. It turns out, perhaps expectedly, that the issues I saw were shared by colleagues including nurses, prehospital staff, physicians, and respiratory therapists. So, I decided to take the money I spent every month on my own personal assistant and try to role out a scalable, virtual assistant service that satisfied this unique need. Unfortunately I lacked time and ability given my other endeavors to really have this service take off. As we’ve discussed before, a team of 3 to 4 people is significantly associated in some series with startup success, and, when asked about startup team size, some say there’s no set number…but you should be able to feed the entire startup team with a box or two of pizza. I lacked time to follow through on this idea and, on review, didn’t have all the skills required to make it go. For that reason I passed off my idea and allowed a team of my colleagues to take it and run. Isn’t it better to see the idea developed than not? I continue to pay a monthly fee as a customer for this new company but I was no longer the person to run the company. This series of blog entries, now, follows the lifecycle of this young startup. I am very excited owing to the team that has picked up this idea and I can’t wait to watch as it is developed and grows. Please enjoy, as I will, seeing this unique, valuable service expand. We will be applying the tools and techniques of startups and we will describe how these are leveraged in designing and maintaining the startup. Basic questions like: what does a valuable value proposition look like? Perhaps most importantly, what does a good team look like? How can I determine how much capital I should use to get started with my idea? Other old friends, such as Lean startup principles & the business model canvas, will appear early and often. Next time, how to pick a team and the business model canvas as applied to PLE. By the way, special thanks to the PLE team for letting me write about their endeavor. It takes a lot to pull back the curtain a la reality TV on your startup, so I thank them for the all-access pass. In this entry, we explore some well-known entities with their business models formatted according to the business model canvas technique that we described earlier here. What can we learn from these now well-known (not as innovative anymore) models? 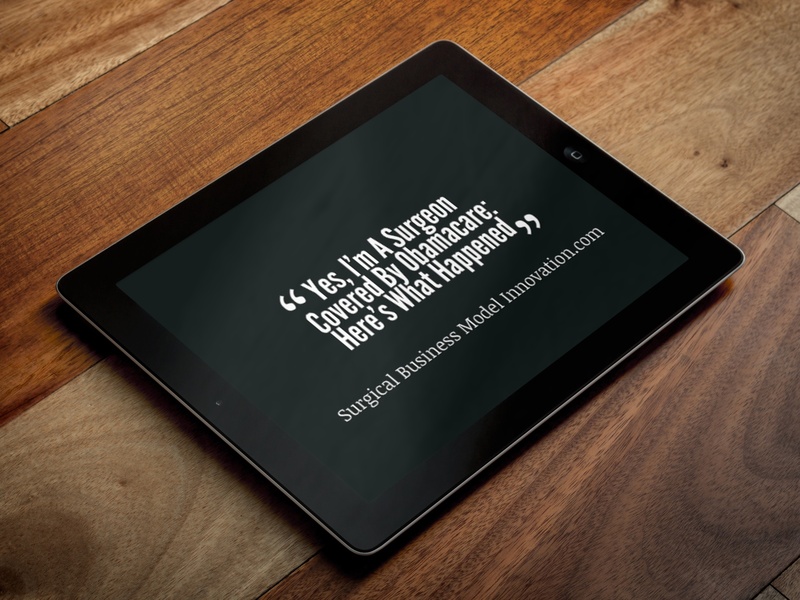 The Top 5 Not So Innovative (Anymore) Business Models–But They’re Really Useful! 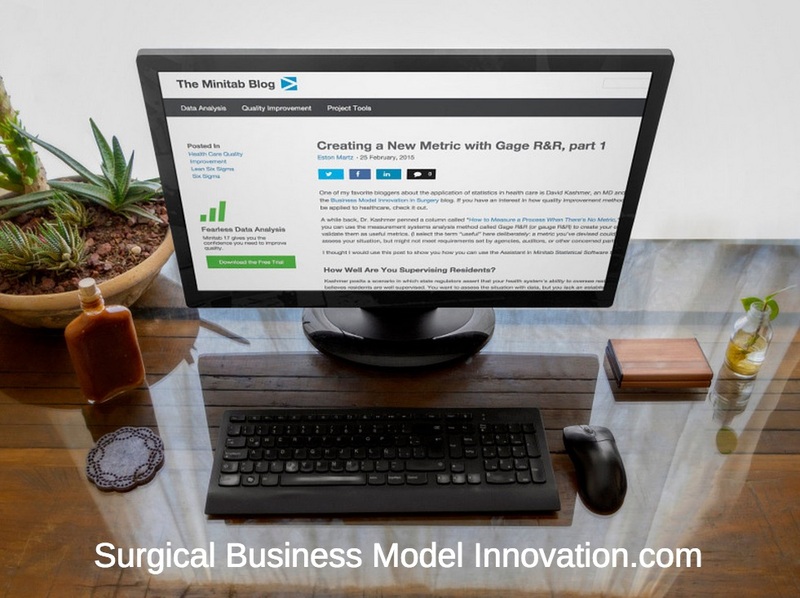 One of the key features of the blog is that we focus on innovative business models as they relate to Surgery and healthcare. In this entry we highlight business models that have been done before in an effort to look for certain lessons learned, commonalities, and ideas we can use to further our own business experiments. 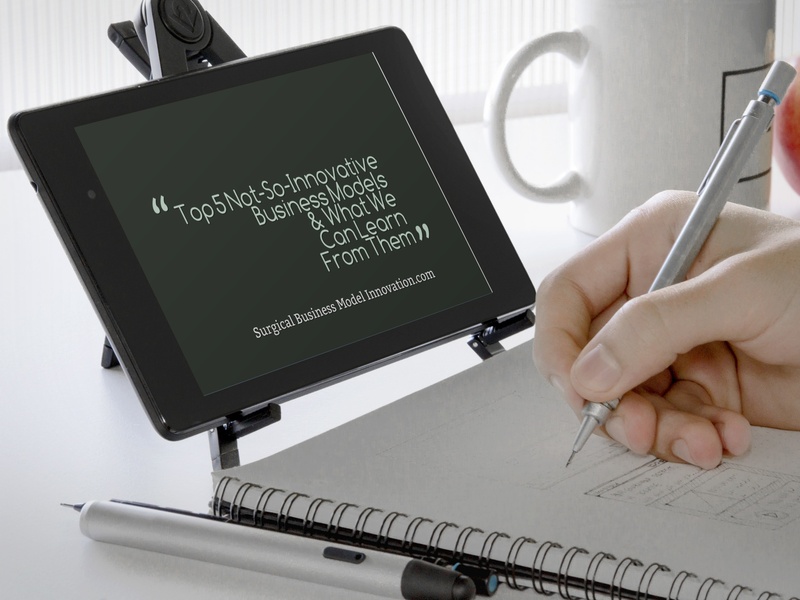 We hope you enjoy this collection of not-so-innovative business models so that you can find and utilize those ideas. Note, by the way, this is not to say that these business models were not innovative when they were first seen. That is, many of these different examples were (or still are) functioning as highly innovative business models. Here, we mean that these business models have been done or are now becoming more tried and true. That is, these are not so innovative because they are ideas we can formalize, represent, and maybe even reproduce or appropriate as desired. So, here are our Top 5 business models (some are well-known entities) represented as business model canvases with our commentary. Here we’ll focus mostly on the value proposition and revenue streams. LinkedIn’s canvas points us directly to a clear value proposition: manage professional identity and build a professional network. See how the value propositions are clear and can be fit on those little post-it notes? Notice how there aren’t 30 value propositions, but rather there are only four short maxims? This is one of the first commonalities we’ll highlight for you across these entities: they are clear with respect to what value they add. They know what they are about and it’s NOT 30 different things. Is LinkedIn’s value proposition unique compared to other social networks? Well, we don’t see a lot of CEO’s pop up on Facebook–at least not labeled as CEO. It seems to do something different and unique that we would find valuable. So, ok, this one passes our Michael Porter test. Notice, next, that LinkedIn has several revenue streams. Although basic service may be free, it offers premium upgrade subscriptions (so called “freemium” model)–yet this is not the only way it obtains revenue. It allows for hiring solutions and marketing too. LinkedIn has a diversified revenue stream that centers around people’s professional lives. Now let’s look at Apple. Apple’s value proposition is perhaps even more clear than LinkedIn’s and customers “feel” it. How many times have you heard Apple users say that they use Apple products because they “just work” or “don’t crash” or are so much more stable than other companies’ products? Apple’s value proposition is obviously clear. When it comes to revenue streams, notice that Apple has multiple streams including hardware and software. Notice anything else? Ahhh…there’s a rental / subscription fee component that’s another example of evergreening. “Evergreening” is a term used to describe a revenue stream or similar entity that, like some plants, constantly gives green leaves. In other words, a subscription model (think iCloud here or Mobile Me or whichever Apple calls it now) allows for a revenue stream that’s self-renewing as customers must act to opt out–which they don’t always do–and so the subscription marches on as Apple collects revenue and delivers value. 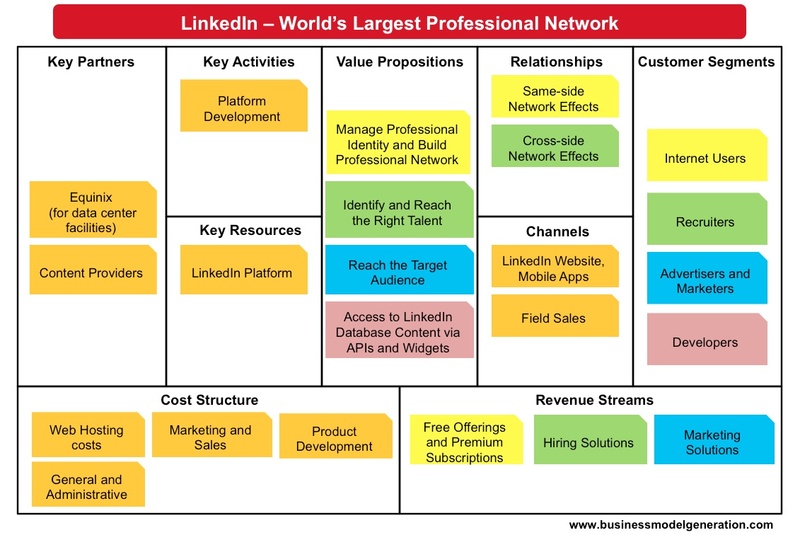 LinkedIn’s model showed evergreening too. Next, let’s look at a model that’s quite distinct from Apple and LinkedIn. Oh we at the blog don’t mean something bad is going on…we’re just pointing out that we are NOT Google’s true customer. Google delivers us free email but in reality what it is really doing is showing us ads and delivering positioned content. That’s one major value proposition Google puts out there. Now, for some of the businesses with which we work, Google provides cloud infrastructure (mail, calendar, online storage, etc.) for a price. There’s another value proposition. It also will run ads for us or a business if we pay. So, then, Google’s value proposition focuses around effectively marketing to us and targeting ads to us. Its value propositions focus on us as advertising targets. Not saying that’s bad–just saying it is what it is. Revenue streams? Yes, Google has streams that are very focused on ad revenue. Moves like Google Glass and the Nexus phone may be bids to diversify the revenue stream by entering the hardware market. Last, note there is evergreening here. If your business signs up for Google Apps, well, there we have it. Google’s model has a subscriber base of businesses to which they provide cloud infrastructure. 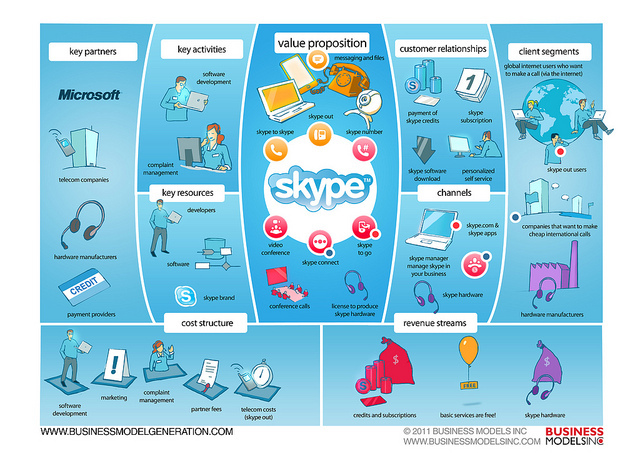 You’re probably getting good at this by now: Skype’s proposition may not be too different from similar offerings, but it is (again) clear. In terms of revenue, here we have a freemium model for accounts, again, that evergreen as users sign up for premium versions. There’s also a hardware piece to the revenue stream that my colleagues and I didn’t even know existed. This canvas changes some of the typical terminology we use, yet all the concepts are there. The Benefits section represents the Value Propositions, and what do we see? This entity wants to be the close-to-home, transparent pricing, short waiting time, affordable clinic. Perhaps, some would argue, it wants to be everything to everyone or too much to too many people. We notice, however, that diagnostic and therapeutic accuracy don’t seem to be part of the value propositions. Keeping us close to home but misdiagnosing us wouldn’t be too valuable to us…but maybe we just think that way because we’re surgeons. In any event, this clinic is clear about what it wants to be. This doesn’t seem to be particularly unique, however, among clinics. How will this be different than the Urgent Care we drive past every day? That’s probably an important question for this entity to answer. Now, armed with inside knowledge of the other models, can you think of any innovative twists on this clinic’s model? What if users had a monthly “subscription” and most were fairly healthy so they weren’t in clinic every day? It would evergreen. Maybe you could do something freemium. More importantly, what about non-patient based revenue streams? A conference on Urgent Care clinics that had attendees? Consulting for other clinics? Something…anything…to not have the clinic be a one or two-trick pony that is totally reliant on the third party payers. 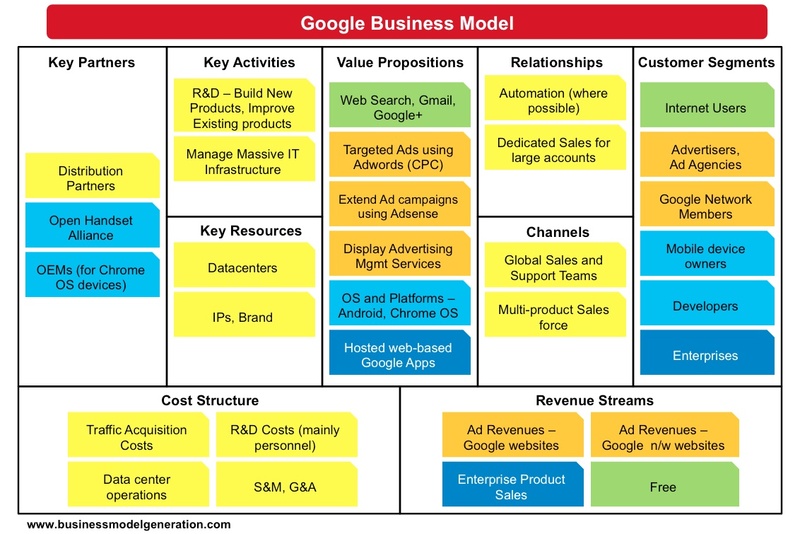 As you can see, visualizing each of these business models as a business canvas is a powerful way to have a quick view on the key value propositions and structures that drive the business. It leads us to obvious questions about that last Retail Clinic business model. 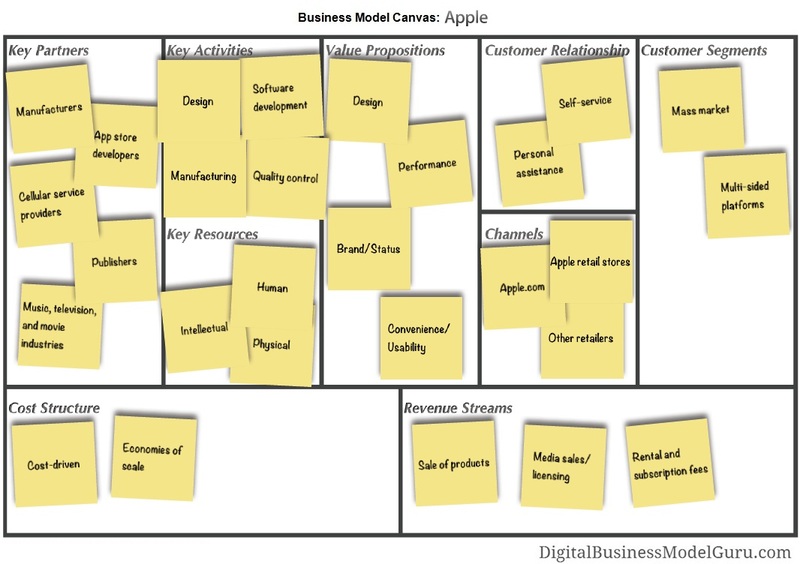 This reinforces just how useful the business model canvas is to get a snapshot of how businesses will function, how business runs, and what it does. Remember, as you change portions of your business, pivot, or otherwise adapt to a changing environment it is important to note that the business model canvas serves as a visual representation of your business and can be a quick summary from meeting to meeting. We recommend updating your business model canvas at your meetings with your startup team. As you can see, there are multiple business models from which we can select. You can take pieces that work well together and plug them into your experiment if need be. Many of these models are highly successful for different reasons. Some commonalities include a unique value proposition that is well-delineated and a diversified number of revenue streams. A focus on evergreening is always nice to have. In short, whatever you do it really helps to be positioned differently than your competitors in a way that adds value. This is just one portion of the business model canvas and yet it is an important piece of your business. Although here we focused on two portions of the canvas, you can see from examples like Apple that a unique value proposition is key and so is the manner in which that value gets to customers. Additionally, we know the discreet jobs a firm must perform in industry. We have discussed representation of these as Porter’s Value Stream earlier: these include bringing inputs into the system, adapting these with operations and procedures, and getting them out of the entity with outbound logistics. Opportunities for advantages also exist at the interaction of one discreet portion of the value stream with the next. Just as important, if not moreso, is what the business is busy about and what value, as mentioned, is added…and that’s the piece for which the canvases are great. We can’t say enough about visualizing some of these now classic business models as business model canvases and we hope that you have really enjoyed reviewing these in this useful format. Remember, as always, we encourage you to take those pieces that are functional for you and leave the rest. Very useful! It highlights the importance of the business model canvas, explains the system, and even runs through interpretations of the canvases as we have above. Yes, our interpretations are different (and we are looking for commonalities we can apply to our next experiment) but this blog is new to our team and falls right in line with techniques we’ve learned. We didn’t take the idea for this entry from bmimatters.com–yet we’re are obviously close kin with regard to how we were trained with the technique. Take a moment and visit that useful blog when you have time. Disclosure: David is an Apple stock holder, and Apple is one of the companies described in this entry. David was a fan of Apple’s long before his investment and this entry explores Apple’s business model while it does NOT describe anything about investing in the company. David says he owns Apple stock for the same reason he writes about it favorably (he really likes the company) rather than writing about it favorably because he is an investor in the company. Thoughts, comments, or questions about applications of this type of technique to healthcare? Let us know! 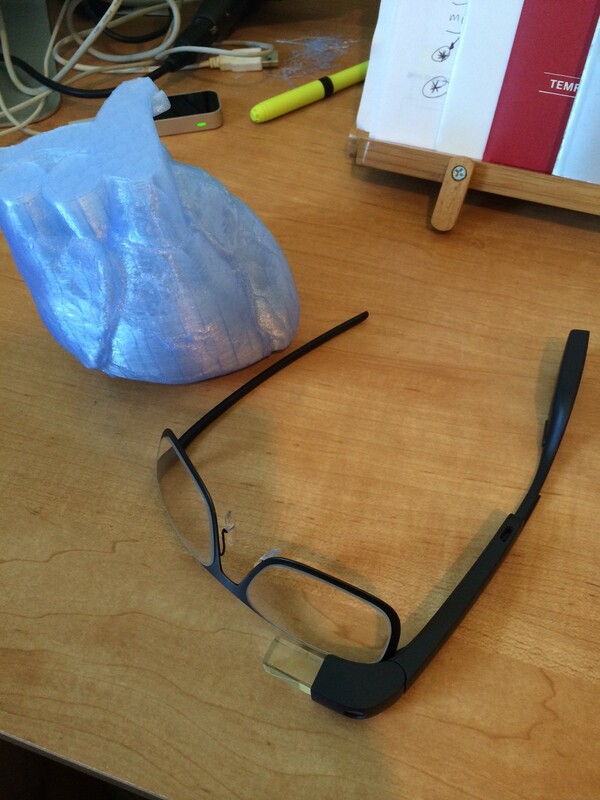 Google, today, announced that the Glass program would be pulled back from developer status. The review (beneath) was originally posted on 4/21/14–my how things have changed! Although Google has indicated that the Glass product will be iterated and released “when ready”, we can’t say that will be anytime soon! So, enjoy the review of Glass beneath with the very real possibility in mind that this product may be no more! The day before this latest Glass release (approx 4/15/14), Google removed the ability to make video calls from the system. How unfortunate! First, the main reason our team purchased Glass was for the video call feature. We needed this hands free, video option for our new business model. Google has announced that the feature was removed owing to limited use and poor quality. Please, Google, bring back the feature we need! (2) Glass has a beautiful screen. We were impressed with the resolution and clarity of the Glass screen. You can read entire websites very easily, and the display’s brightness in different lighting conditions adjusts appropriately. For such a seemingly small screen, it does give the illusion of a much larger screen that hovers a few feet in the distance. Nice work, Google. (3) Glass battery life isn’t great. Perhaps it’s just our device–we don’t know. However, a full charge does NOT last long at all. For example, as I’m writing this, my Google Glass’ charge has decreased by 20% with little to no use IN THE PAST 15 MINUTES. There is a feature that, when you remove Glass, it shuts down and saves charge. We have that activated too. Enough said. (4) Glass interfaces with my home wifi router in a strange way & I’m not always sure when it’s sending data or what data it’s sending. So sometimes Glass seems to be sending data when I’m not doing anything with it. Sure, lots of devices do that–yet, I can’t help wondering what it’s sending. Privacy concerns with Glass already abound and maybe that’s why I wonder what this thing is up to. Also, my poor Airport WIFI router seems to have issues with Glass. Don’t know why, but when Glass is on it boots everything else off the network and makes them unable to access the Internet. Could be that I just have firmware updates, etc., to do as new devices like Glass come onto the market. (5) Glass requires touch to operate. Yes, much of Glass can be controlled with head movements and voice. However, touch is often required to start or accept actions. In light of #6 beneath, and the fact that we need a hands-free device for our business model, we’d really like to see less touch. Maybe just us on this one. (6) Glass voice recognition is excellent. One really impressive feature of Glass is the voice to text fidelity. Accuracy and speed are excellent here. (7) Glass came with frames. This version of Glass came with frames included. They’re not bad, and accept a standard lens from stores like LensCrafters. You can see the set I received in the photo above. Overall, this is a good feature. 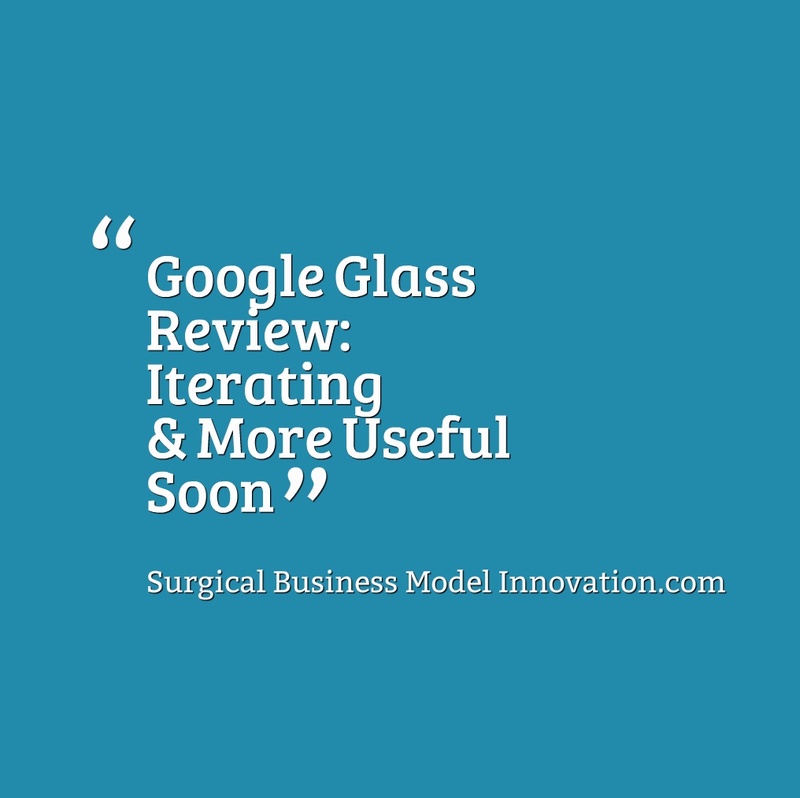 In the end, our team is very impressed by the intelligent manner with which Google is rolling out Glass. The focus on an MVP-type product, and positioning with early adopters, is a nice study in how to bring something truly different to market. The product itself is exactly what it says it is: a developer stage device that is coming along nicely and iterating as it goes. Some qualities of Glass need improvement (think battery life here) and others, like video calls, need to be brought back–Google hear our plea! Glass is an interesting device with many potential uses, and we are excited to be part of its process as it goes on to fulfill its promise.